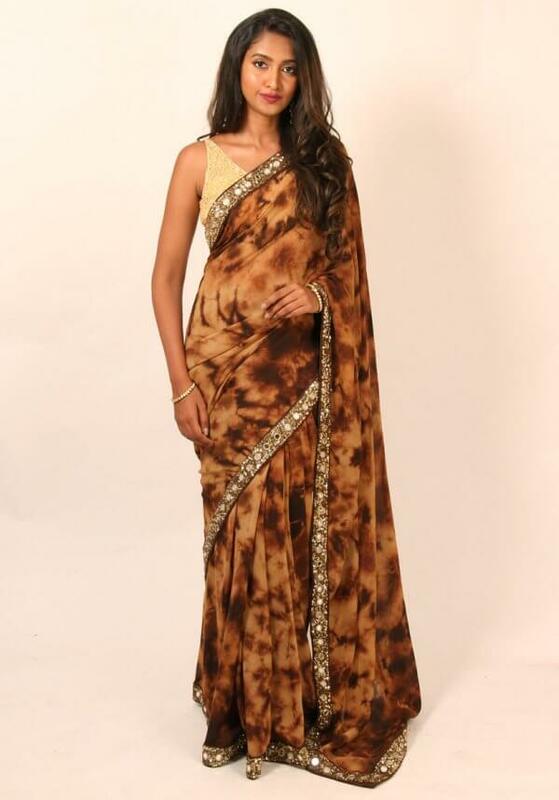 A perfect blend of modern and traditional, this brown tie-dye saree. features gold embellished border. Comes with a matching unstitched blouse piece.